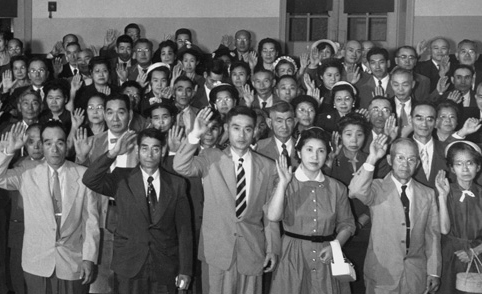 To preserve Seabrook’s rich and unique history, the Japanese Americans of Seabrook, the largest ethnic group relocating to the area during World War II, established in 1994 the SEABROOK EDUCATIONAL AND CULTURAL CENTER. The Center, the key component of a non-profit foundation, serves as both a museum and a memorial for Seabrook’s rich history and community life. Seabrook Farms Company – the company and its historical role in the settlement and employment. People – the various ethnic groups who settled and/or worked in Seabrook. Community Life – the major social and cultural organizations that fostered community activity as well as the representative and significant events of village life. Large-scale model of Seabrook Village of the 1950’s. Photograph collections of settlement, workplace, and community life in the village. Published and recorded material about Seabrook from print and electronic media. Oral histories reflecting the settlement and the experience of Seabrook life.